Born in 1874 in the small town of Oshkosh, Wisconsin, Hine was one of the earliest photographers to use the camera as a tool of social reform (following in the recently trod footsteps of Jacob Riis, who documented the New York City slums). After his father died suddenly in 1890, Hine became the main earner for his family. His work included a stint of six-day weeks at an upholstery factory. He later studied sociology and got a job as an educator at the Felix Adler Ethical Culture School in New York, where he learned to use a camera. (And he got skilled at talking to children, something vital to his covert factory missions.) With NCLC he turned his photographs into slideshow presentations, posters, fliers, and exhibitions (with informative text panels like one from 1914 that compared the “normal child” to the “mill child,” whose eyes were ringed with dark circles that gaped from under a tattered cap). Read Meier’s whole piece at Hyperallergic, and see more about Lewis W. Hine. America at Work at Taschen’s site. Earlier in 2018, in my Hyperallergic piece on a new comic about prolific photographer Arthur “Weegee” Fellig, I cited the work of University of Delaware professor Jason E. Hill and his Artist as Reporter: Weegee, Ad Reinhardt, and the PM News Picture. See my separate post on his new book, in which Hill explores the 1940s-era illustration- and photography-based newspaper PM. Even as Hine had passed away in the year that PM launched, Hill writes that his reform photography was critical to the origins of the New York City tabloid and the brand of journalism practiced by its contributors. See more on Artist as Reporter. My selection was Michael Kupperman’s All the Answers. I wrote at length about All the Answers earlier this year and went to Parsons recently to see Kupperman talk about his very moving memoir. It’s worth a read. See the whole Hyperallergic feature here. All the writing I’ve done at Hyperallergic is collected here, and it is inclusive of my 2018 work. Lots of good-looking publications in Curbed’s picks for 2018’s “best design and urbanism books”—Archigram: The Book, Serious Play: Design in Midcentury America, and more. I’d forgotten about having read a piece or two in recent years on the book from printer, artist, and Rhode Island School of Design graduate Philip Ashforth Coppola, which is also included in the feature. 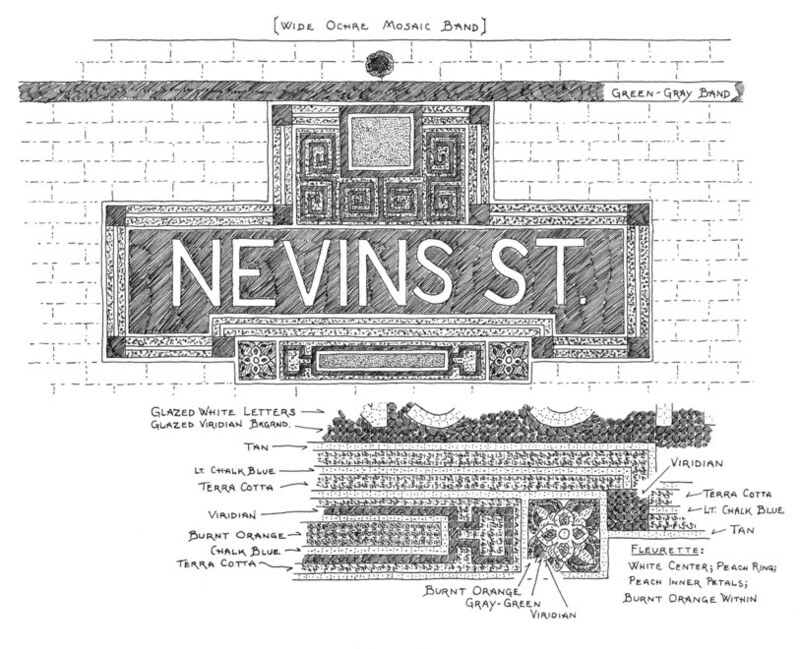 Coppola has been creating painstakingly detailed ballpoint pen drawings of the design work at New York City subway stations—their decorative elements, the tile patterns, the typefaces, and more—since 1978 (I think that cartoonist Julia Wertz might appreciate his effort). In May of this year, Princeton Architectural Press published One-Track Mind: Drawing the New York Subway, a hardcover book that includes 130 black and white illustrations culled from a collection of thousands of sketches with the help of editors Ezra Bookstein and Jeremy Workman. Coppola’s handwritten annotations point to the names of architects or firms contracted for the original labor—based on research he’s conducted at the library or elsewhere—or simply to the colors utilized, as the book is in black and white. See Jessica Leigh Hester’s 2018 Atlas Obscura feature on the artist and his book. More details about One-Track Mind are at the publisher’s site.